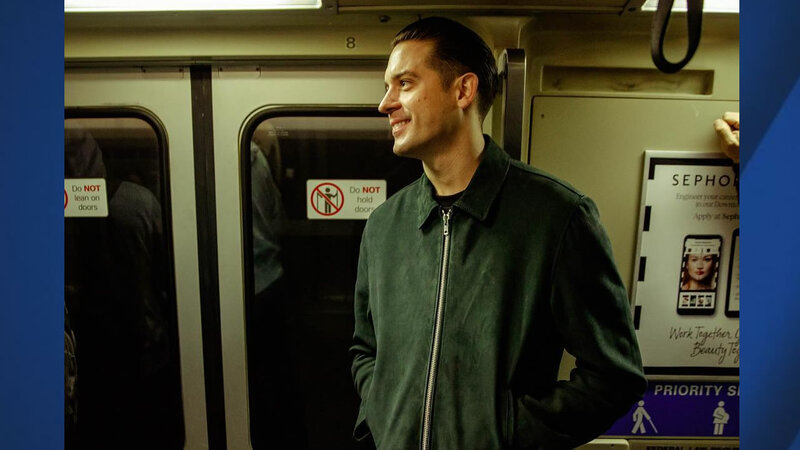 OAKLAND, Calif. (KGO) -- Rapper and Oakland native G-eazy showed once again he's a man of the people, posting an Instagram photo last night showing him riding BART to his sold-out show at the Fox Theater in Oakland Thursday night. G-Eazy said it "feels good to be home" when he walked in to the venue. Thursday was his last show in the Bay Area promoting his new album "The Beautiful & Damned" before heading up to Seattle to perform Saturday. G-Eazy, who got his start selling mix tapes on Telegraph Ave. in Berkeley, loves to make appearances in his hometown. Last year, ABC7 caught up with him when he was promoting his Stillhouse whiskey and the Oakland A's held G-Eazy Bobblehead Day, with him throwing out the first pitch. Click here for a look at more entertainment stories and videos.